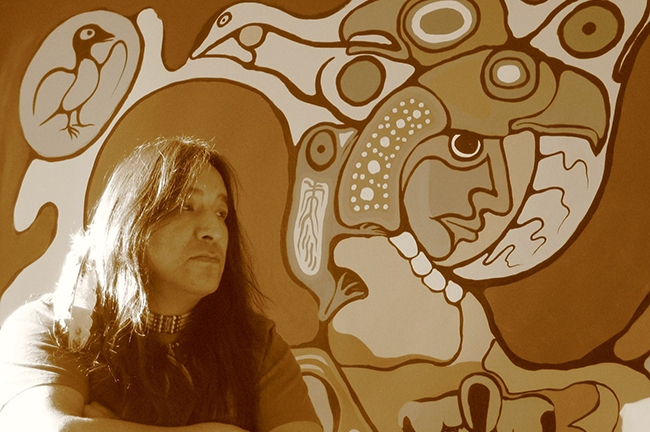 On Monday, February 13, an iconic Canadian artist, Moses Amik Beaver, was found unresponsive in the Thunder Bay District Jail. Soon after, he was declared deceased. This artist struggled with mental illness. He knew he was struggling. His family knew it, and his community knew it. He had asked for help. We are hearing that no help was made available to him via Health Canada (the Federal government body mandated to provide health care on First Nations). We are told that local Nishnawbe Aski Police Service felt they couldn’t help this man access mental health services unless he committed a crime. I don’t know why he was incarcerated. In fact, I have a lot of questions. But I do know a few things. His name was Moses Amik Beaver of Nibinamik First Nation. His work capturing his spirit and the spirit of his community and nature could be found all over our country. He generously shared his passion for art with the youth in his community. His art remains as a gift to all Canadians. Unfortunately, that’s not all that remains. As they have for years prior, the deplorable gaps in the mental health system that Moses fell through will continue to exist. Can’t we do better for our friends, family, our cultural icons who struggle with mental illness?